Iv'e been dipping my toes into mission building BOS... been doin OK using various guides and tutorials, which have been really helpful, but I'm now stuck. I've managed to have an aircraft parked, start up, taxi to runway, (I'm using Stalingrad map, so no fake airfield template for taxiways, I have to build my own from the charts), take off follow a few waypoints and land. Weyhey!!! Now I would like to build a fighter patrol over the airfield ... follow waypoints in a loop until aircraft goes bingo fuel and lands. I cant find any tutorials that will help. Basically, everything you've done, except don't allow the unit to land until on bingo fuel fires. 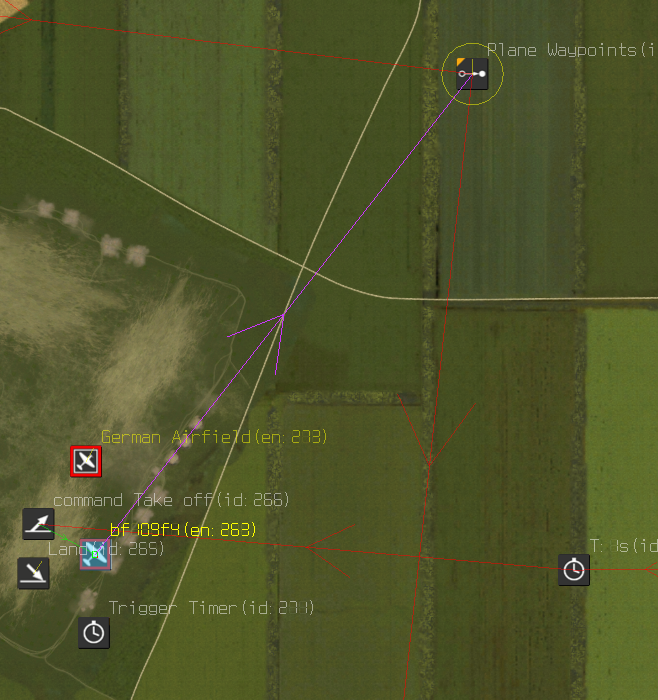 In the patrol aircraft 'advanced' settings add an 'event' for bingo fuel and point it to the Land MCU. 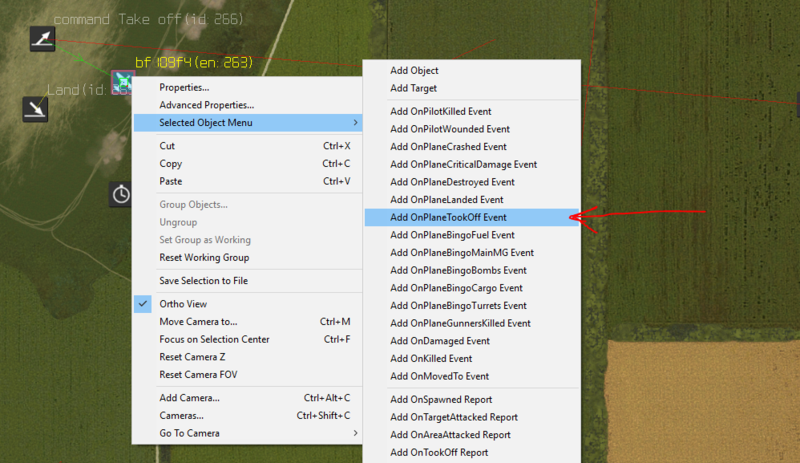 Be sure to object connect the land, take off, and waypoint mcus to your AI plane. And be sure to set the land mcu to the correct direction and location that you want your ai plane to land at. Then it should work! Alternatively, you could select the AI Return to Base Decision option for the flight lead. When the lead goes bingo fuel, it will proceed to the nearest friendly airfield object and land according to how that object is set up. See the landing notes, the two paragraphs right after, and the second note under "Tips" in this post. I'll try it out over the weekend. You can use a waypoint loop as illustrated, or you can simply use an "attack area" command to cover the area/altitude you want. Then force complete/deactivate from whatever trigger you use, be it bingo fuel event or a timer etc. Different ways to skin the cat, but personally I wouldn't use a waypoint loop for such a small area. tnx for the replies. I've sorted it .. had 2 Russian flights .. 1 flight of bombers take off and then 3 minutes later a flight of fighters take off from a different airfield. Used command cover, so the fighters provide cover the whole journey to the German airfield, which worked OK. PE2's level bombed and RTB without with no problems as the Russian fighters engaged ... bombers used the AI RTB. 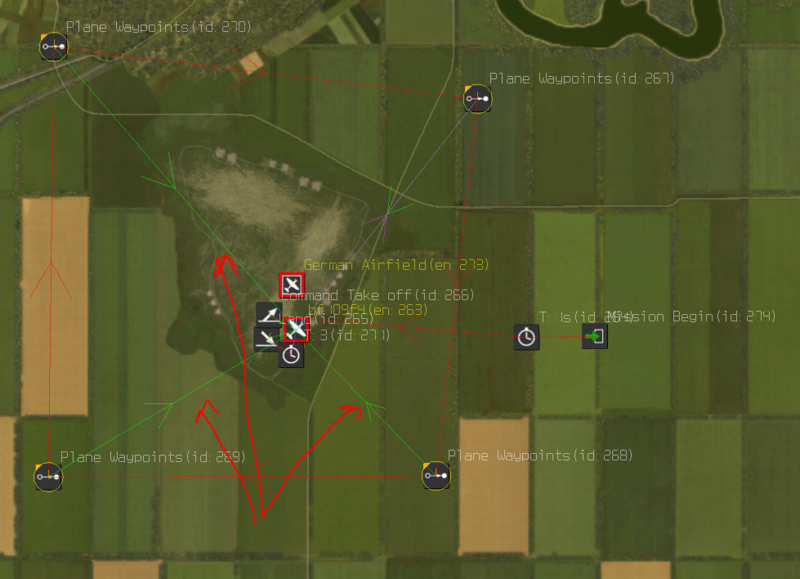 I used the command Attack Area for the German fighters, which took off and patrolled the airfield. OK ... this all seemed to work:). I'm going to continue to expand the mission and have some questions. Should I ask on this thread or create another?? I am trying to add another flight of bombers, IL2's to attack the German airfield from low level using rockets, but without adding fighter cover. My original fighters flight will be at the airfield protecting the PE's when the IL2's arrive. So, to do this I am intending for the IL's to spawn in at a specific location once the PE2's have reached their first waypoint. They will then follow their own waypoints to the airfield and attack from a different direction.  So, I've been using the manuals and advice on the internet, but again am stuck''. I use the Trigger Spawner to spawn in the IL2's which have a target link from Mission Begin MCU but they arrive too early. So, how do I spawn in the Il2s when the PE2's hit their first waypoint??? 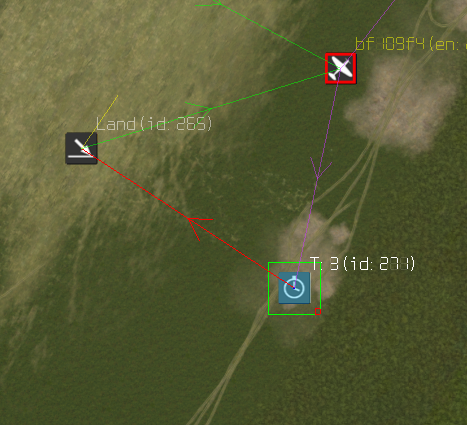 When the PE2 hit their waypoint you can use this waypoint to trigger the IL2 spawn. 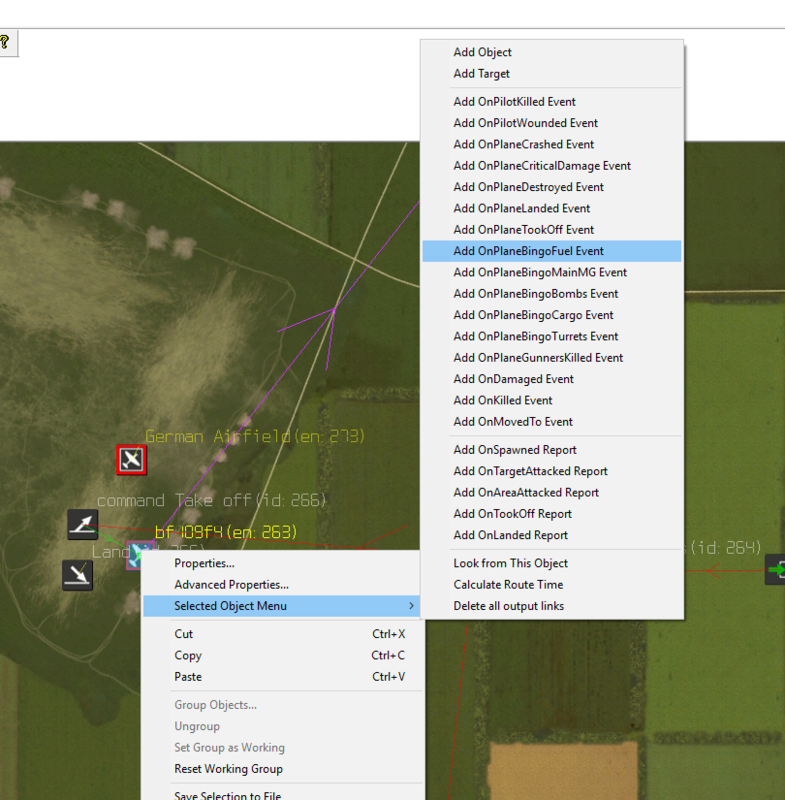 Just use a Target Link from the Trigger Waypoint to the Trigger Spawner that have an Object Link to your IL2 flight leader. You can add a Trigger Timer for a time buffer between the Trigger Waypoint and the Trigger Spawner. Playing on that time buffer you can decide when to spawn the il2. It is good to have at least 500msec between the two MCUs. When an MCU has multiple links at the same time, some time buffering ensure proper execution.